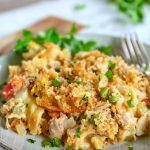 The Best Tuna Casserole is SO easy to make! Made with a simple from scratch sauce, egg noodles, tuna, peas and a crunchy Panko-Parmesan topping, this comfort food classic is sure to become a new family favorite! 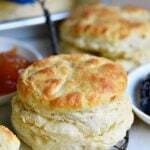 Serve with homemade dinner rolls and broccoli salad for a simply delicious dinner! 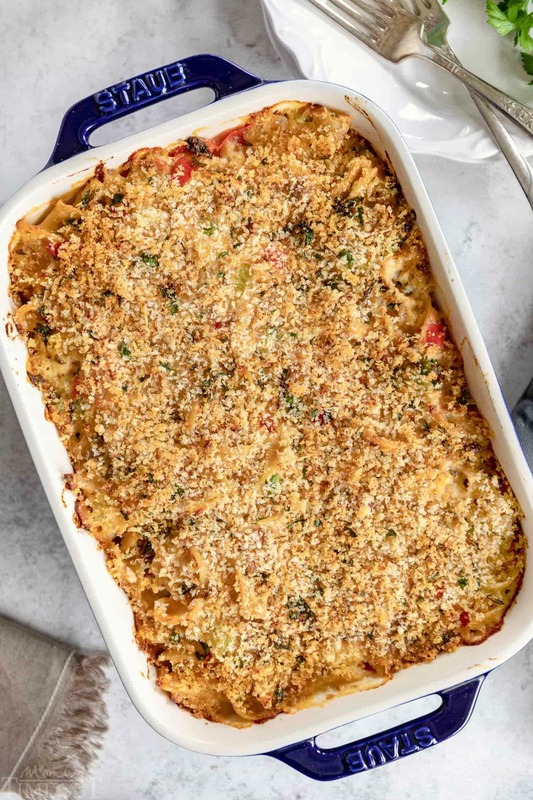 I’m a little concerned I’m going to be call the casserole queen for posting a second casserole recipe this week….buuuut, I knew my casserole-loving peeps were going to go crazy for this amazing Tuna Casserole. 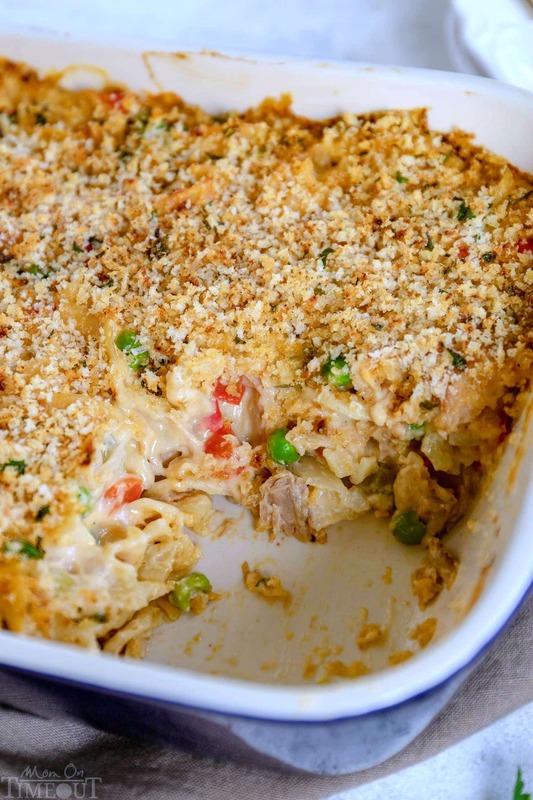 Classic tuna casserole is something I think most, if not all, of us remember. It is classic comfort food much like mac and cheese, fried chicken, or lasagna. 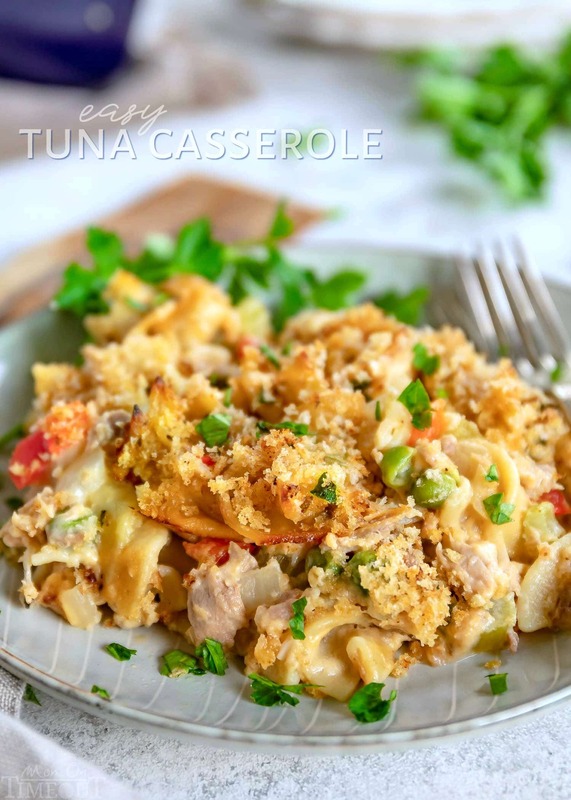 Now, whether you remember it with a slight grimace or fondness, don’t fear: this tuna casserole recipe that I’m sharing today will remind you of a classic tuna casserole but blow you away with it’s awesome flavor and freshness. 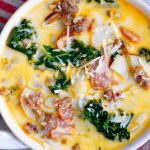 The sauce is made from scratch – no canned, cream soups here. And it’s easy you guys. You know I love easy. I used canned tuna but the tuna from the pouches is also great. You just want to make sure you get the water-packed tuna and drain it really well. The oil packed will be a bit too greasy for this tuna casserole recipe. There is nothing better than an old fashioned tuna casserole. 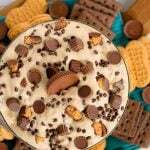 Serious comfort food, amiright? I like a cheesy tuna casserole so I added some cheddar cheese to the recipe. If you don’t like it cheesy, omit it entirely with no substitutions needed. No problemo. I also topped the casserole with a delicious crunchy topping made with Panko bread crumbs, Parmesan cheese, smoked paprika (<- quickly becoming my favorite pantry staple), fresh parsley, and, of course, a little butter for flavor and browning. Good news! 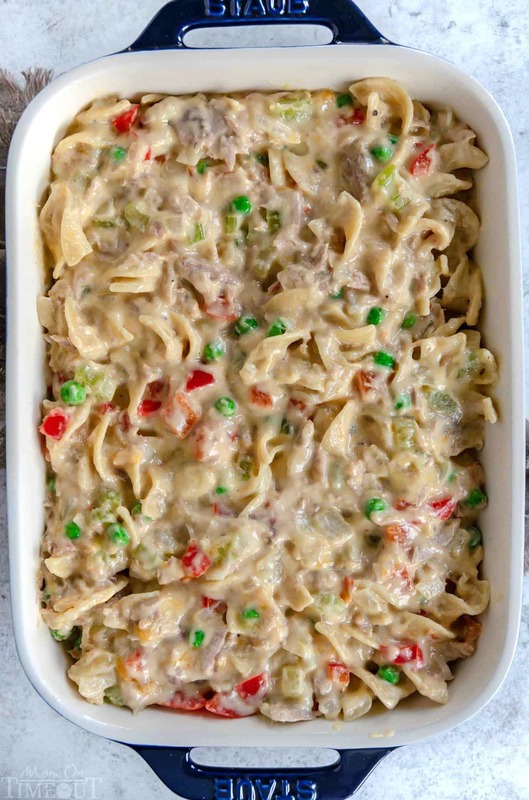 Like most casserole recipes, this Tuna Casserole can not only be made in advance, but it can be frozen as well. 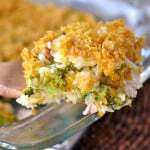 Prepare the casserole as directed but stop just before adding the panko topping. Cover and refrigerate. Pull from the refrigerator before you preheat your oven so your casserole isn’t quite so cold. 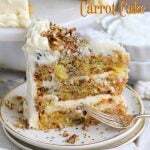 Sprinkle the topping on and bake. You’ll need to add 5 to 10 minutes to the total cooking time. 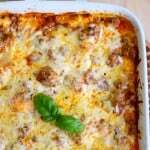 Freezing after Cooking: Let the casserole cool completely. Wrap in plastic wrap and then foil making sure it is sealed well. Let defrost fully and then warm up as desired. Freezing before Cooking: Assemble the casserole as directed. Wrap in plastic wrap and then foil making sure it is sealed well. 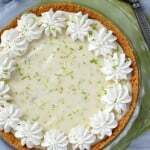 Let defrost fully in the refrigerator overnight and then follow directions below to bake it. Pull from the refrigerator before you preheat your oven so your casserole isn’t quite so cold. 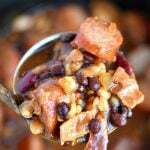 Remember to add an extra 5 to 10 minutes to the cook time to compensate for it being cold. 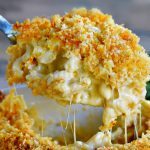 The Best Tuna Casserole is SO easy to make! Made with a simple from scratch sauce, egg noodles, tuna, peas and a crunchy Panko-Parmesan topping, this comfort food classic is sure to be a new family favorite! 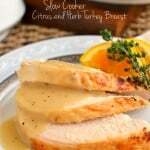 Serve with homemade dinner rolls and broccoli salad for a simply delicious dinner! Preheat oven to 375 degrees. Lightly grease a 2 quart baking dish and set aside. Cook noodles according to package directions, removing when al dente. Drain, and set aside. Melt butter in a large skillet over medium heat. Add celery, bell pepper, and onion and cook until onion is translucent, stirring frequently. Stir in flour, salt and pepper. Slowly add milk and cook, stirring constantly until thick and bubbly. 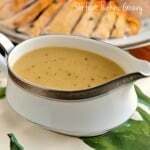 Stir in Dijon mustard. Add tuna, peas, noodles, and cheddar cheese and fold into the sauce. Pour mixture into the prepared dish. Combine Panko, Parmesan cheese, smoked paprika parsley and melted butter in a small bowl and sprinkle over the top. 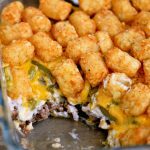 Bake casserole for 25 to 30 minutes, uncovered, or until heated through and golden brown on top. Let stand for a few minutes before serving. A great addition for sure!